Recent studies carried out at LEGI have focused on the collective behaviour of dense particles in turbulent flows and proposed new methods to describe the observed particle clustering phenomena as a result of inertia. In these experiments, the particles were chosen to be smaller than the smallest whirls of the flow and could therefore be modelled as points. But what happens when the particles are bigger than the smallest active turbulent scale of the flow? And how do they behave when their density is the same as that of the carrier fluid? Do the local particle concentration exhibit strong fluctuations as observed in small dense particles laden flows? Are particle collisions associated to strong dissipative events leading to recurrent contacts? Do particles form clumps that locally attenuate the turbulent flow? 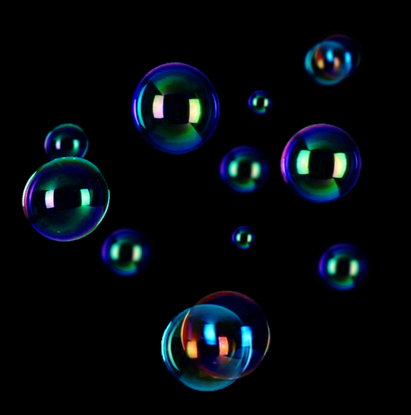 To address these issues, experimental measurements of the position and the dynamics of large particles (gas filled soap bubbles) seeded in a turbulent wind tunnel are carried out, systematically varying the size, density and the seeding concentration of the particles. The present project aims at completing the previous studies, by addressing the unexplored case of the collective dynamics of finite size particles (both neutral and dense). The project is associated to numerical studies performed in the Karlsruhe Institute of Technology and the Observatoire de la Côte d’Azur, and will also be the homogeneous-isotropic counterpart of similar experimental measurements done in a non-homogeneous anisotropic flow at ENS Lyon. The quantification of finite-size particles clustering properties will have important impacts on the understanding and modeling of physico-chemical processes occurring in natural or industrial systems.